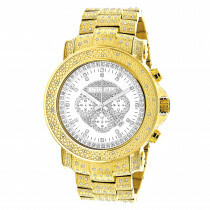 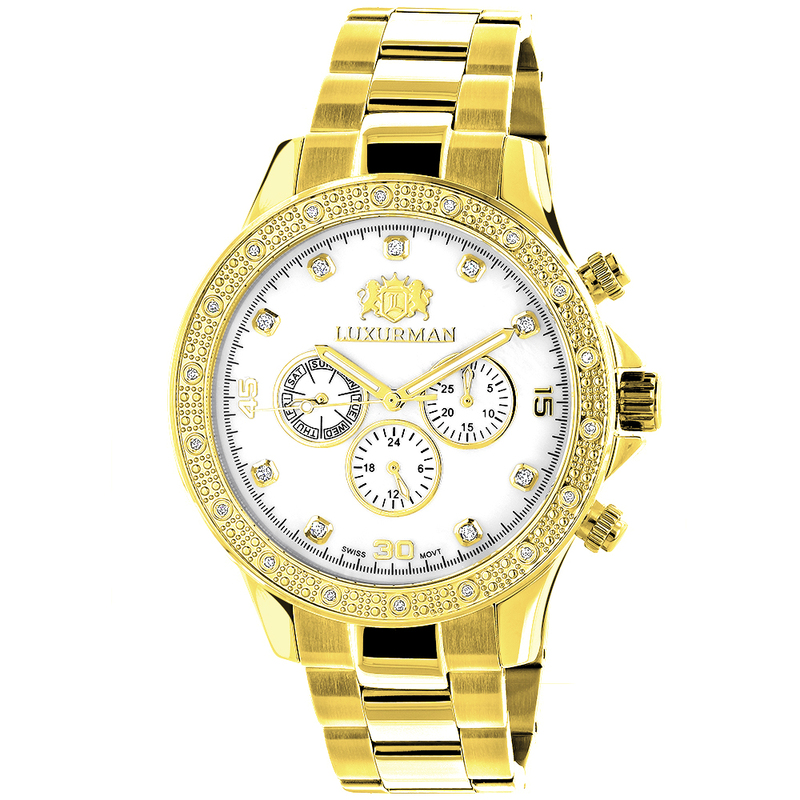 Luxurman Watches for Men collection: This Luxurman Mens Diamond Watch White MOP Liberty is 18K Yellow Gold Plated and features 0.2 carats of genuine diamonds. Showcasing a luxurious white mother of pearl face, a yellow gold plated stainless steel case, yellow gold plated stainless steel band and Swiss movement this Luxurman Liberty men's diamond watch is conveniently water-resistant to 3 ATM and comes with a 5 year manufacturers warranty. 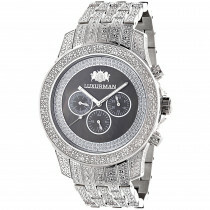 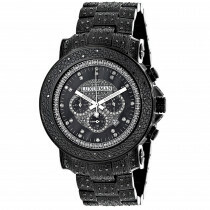 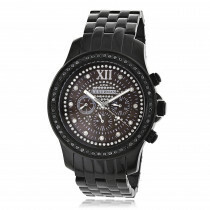 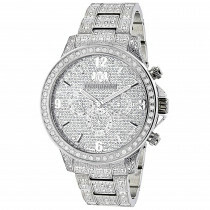 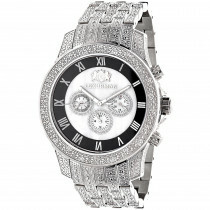 This stylish mens Luxurman watch makes a perfect gift for any occasion! 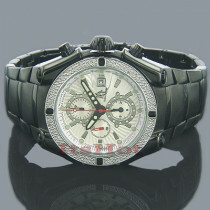 The watch also includes two extra leather bands in different colors. 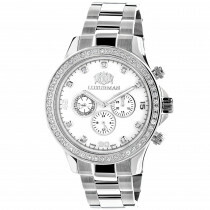 Q: Luxurman Diamond Watches for Men 0.2ct Yellow Gold Plated White MOP Liberty. 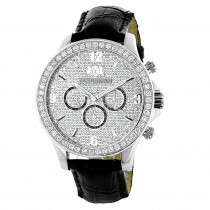 Why are the watch numbers "15,30,45" on this watch have different color or toned than the one on the video? 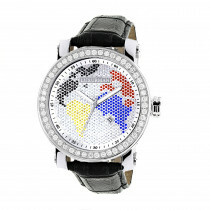 The pic shows the "15,30,45" are not the same tone or color, but when you play the video the "15,30,45" matches in the same tone or color. 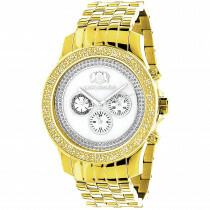 A: The numbers on this watch are all the same color, its just a light reflection that makes them look different color but they are all the same yellow gold tone color. 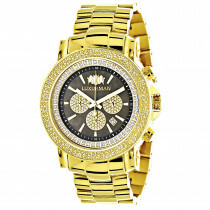 got already so many compliments on this watch. 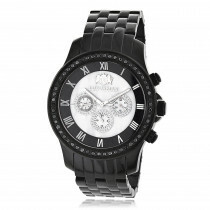 It's a great purchase.